“Rahm Emanuel and the Democrats know they lose an argument with the Republican Party on substance so they are building straw men to attack and distract,” said RNC spokesman Alex Conant. 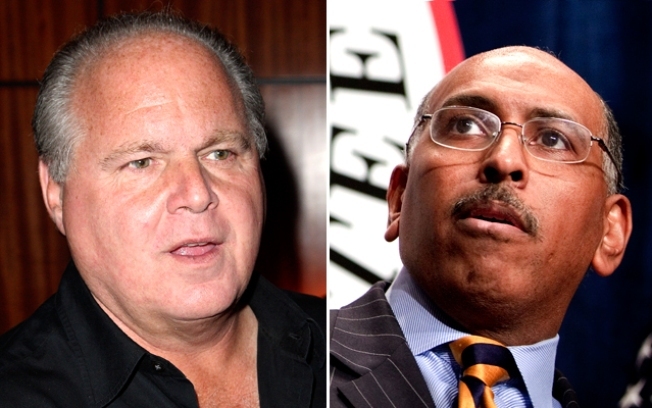 Limbaugh, asked to respond, said he’d save his counter-attack for his listeners. “I’ll handle it on the radio,” he wrote in an e-mail. Steele’s broadside comes as top-level Democrats are working to portray Limbaugh as the face of the GOP and daring anybody in the party to separate themselves from him. Emanuel also noted that Republicans face repercussions for criticizing Limbaugh. “When a Republican did attack him, he was — clearly had to turn around and come back and basically said that he's apologizing and was wrong,” Emanuel noted. Conant, the RNC spokesman, didn’t say whether Steele would go on the show.